In 1997 the newly modernized Labour party swept into power promising a radical overhaul of the youth justice system. The creation of inter-agency Youth Offending Teams (YOTs) for the delivery of youth justice services were the cornerstone of the new approach. These new YOTs were designed to tackle an 'excuse culture' that was allegedto pervade the youth justice system and aimed to encourage the emergence of a shared culture among youth justice practitioners from different agencies. The transformation of the youth justice system brought about a period of intense disruption for the practitioners working within it. The nature and purpose of contemporary youth justice work was called into question and wider issues of occupational identity and culture became of crucial importance. Through a detailed ethnographic study of the formation of a YOT this book explores a previously neglected area of organisational cultures in criminal justice. 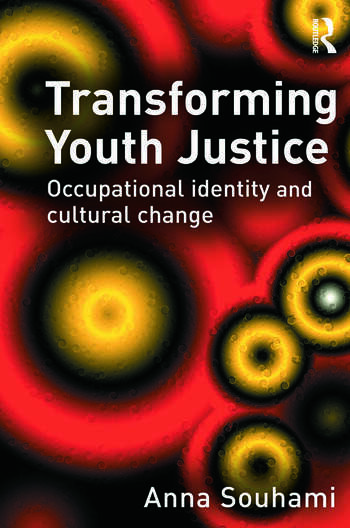 It examines the nature of occupational culture and professional identity through the lived experience of youth justice professionals in this time of transition and change.It shows how profound and complex of the effects of organisational change are, and the fundamental challenges it raises for practitioners' sense of professional identity and vocation. Transforming Youth Justice makes a highly significant contribution not only to the way that professional cultures are understood in criminal justice, but to an understanding of the often dissonant relationship between policy and practice. Anna Souhami is Lecturer in Criminology at the School of Law, Edinburgh University.